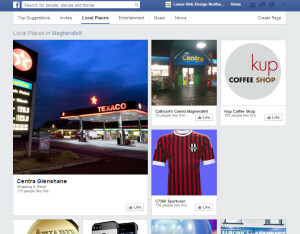 I’m going to show you an easy way to find local business pages on Facebook. 1. Click on the “Home” button. 2. 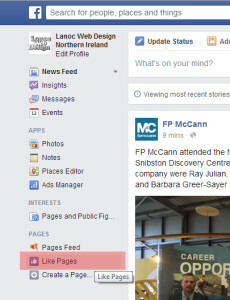 Click the “Like Pages” button. 3. Click on “Local Places“ button. 4. Type the name of the town/city in the text box. This entry was posted in Facebook, Social Media by Kieran. Bookmark the permalink.